If Nigel Farage stands here, I think Labour will take the seat. This is an affluent area in some parts as well as being deprived in others, but if Labour takes votes directly from the Tories and Lib Dems and Farage excoriates Laura Sandys for being a pro-European, moderate Tory moderniser, then it will open the door for Labour to win. Farage stood here in 2005 winning 2,079 votes, just saving his deposit with 5.04%. Labour held the seat by 664 votes. Even though he only came third with a fourth on his tail, without any of the 3 main parties (well not officially anyway)? I think this will be very tight between Labour and the Conservatives. On current polling I could see Labour taking it, at the GE I think the Conservatives might just hold on, but it will be quite marginal. Neil: I can’t see Labour winning this. They need a swing of 8.3% and the current UKPR polling average implies a swing of 8.2% in mid-term. Yep, this one is a swing too far for Labour. Dover and Chatham & Aylesford are Labour’s best bets in Kent for 2015 and even these will be at the higher end of the party’s hopes come the next election. One would tend to think that, but very little has gone right for the Conservatives in Thanet for the last 2 years & if they now face a serious challenge from UKIP as well as Labour the seat becomes rather more unpredictable than it appears on paper. There is however a significant non-Thanet section of the seat in & around Sandwich & this portion could just save their bacon, if you will forgive the food allusions. which part o ramsgate do the affluent people live in? I very much agree with Barnaby. The ‘Sandwich’ section of the seat will help keep the Tories in here. I doubt Labour will actually take the seat, but if UKIP pull it off here – and they’d be facing a pro-gay marriage, pro-European, pro-House of Lords reform, socially liberal, One Nation Tory moderniser – then it will divide the Tory vote and let Labour in. I suspect poll ratings for Labour will rise soon due to policy announcements and more Tory division, and Labour may get its 20% poll lead eventually. That could predict a big swing in excess of 10% from Tories to Labour. If Labour capitalise on that, that swing is likely to fall at an election but according to Ashcroft, the swing to Labour is higher in the Estuary seats than the rest of the country. Labour could get an 8% swing from Tory to Labour and Nigel Farage stands with a 10% swing from Tory to UKIP – that will divide the rightwing vote and open up the seat to Labour. Lets wait and see what happens over the next year or so rather than speculating. I do not think this seat will be a simple one for Labour to take back at all. As Barnaby rightly says, the fact this seat contains Tory Sandwich means the odds are likely in favour of a Tory hold at the moment…although I completely understand your point about UKIP splitting the right vote here. The Thanet seats are sandwiches and not donuts. Here sandwiches benefit the Tories and not Labour. Were a Margate & Ramsgate urban constituency to be created and a Isle of Thanet rural constituency with other parts of North East Kent then Labour would have one strong prospect instead of two seats that were beyond their reach. Who was ahead here in May then? Were Labour ahead but only it would appear because of Con/UKIP division? Traditionally this was always a rock-solid Tory seat, and our majorities weren’t high even when we held on to the seat. Clearly Labour aren’t out of contention here but the Tories would start as favourites. UKIP – well, that really does depend on where they end up taking votes from. The more Labour explain that their economic and social policies are essentially Tory, the more I would expect this to be from the Tories. Thanks Pete – I did actually suspect UKIP were ahead but read something inaccurate that UKIP hadn’t actually carried a seat – it may have been lazy journalism although to be fair perhaps not all clear in the immediate. Bob’s point is actually a sensible one, although a bit Plopwellesque from a party who has lost 10 points on national projection over the last year. but the majority here is still quite substantial for them should there be a large swing to UKIP or Labour. Sorry it was Merseymike’s point – not Bob – Sorry Bob, you are a Plopwell afterall. If Pete Whitehead thinks UKIP can win and take a seat, he should look at their poll ratings and look at the % of the vote in this seat. Not a chance. Real votes do show Labour is making progress but it needs to make more progress than what is making now. When the Tories get more divided, Labour makes more policy announcements and the possible return of Alistair Darling then Labour could expect to be 20% ahead. If Ashcroft’s surveys are right and UKIP split the rightwing vote (especially if Farage stands here) then Labour will win the seat. I happen to think Laura Sandys will hold on with a majority less than 1,000. I have no idea what will happen here next time , but am surprised that so many see Labour’s prospects as remote given that they held the seat at three consecutive elections. If Labour managed to hang on here in 2005 when enjoying a national lead of 3% , it can surely happen again. Whilst there was a big 9% swing to the Tories in 2010 a reversal of that movement should not be ruled out. No real votes cast most recently in this seat show Labour going backwards winning a lower vote share here this May than they did in 2010 and contrived to lose a seat which they had held even in 2009. 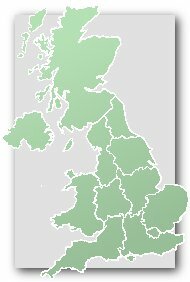 There is no doubt that UKIP will find it very tough going winning seats under the current electoral system (which is now completely unfit for purpose in a four-party system) but if they are to approach winning in any seats, then this would be a contender which is why I suggested it as a possible seat for Nigel Farage. I suspect C would hold on more comfortably, but depends on various factors Pete has described. Of course what Laura Sandys bio does not mention is that her father was a founder of the European Movement sand that she is as Europhile as they come having been steeped in it since birth. Her father was the first British EEC commissioner under Heath (who ironically was schooled in Thanet Sputh as well.. Not only that but of course this is the neighbouring constituency to Nigel Farage’s birthplace and one that Farage has already fought. Given the success of his county council candidates there (they won every ward) its perfectly set up for Farage to return and wipe the floor with a europhile Tory. The symbolism would be immense! A detailed spreadsheet with Thanet South on it is linked on the above page. Its also worth noting the UKIP candidate from 2010 was one of their successful County Council candidates in the constituency. Knowing the area as I do, its nowhere near as affluent as some on here would make out (nb and it lost its major local employer Pfizer in 2010). Affluent areas in Cliftonville, Kingsgate and Broadstairs are counterbalanced by large council estates and old Victorian terraced areas particularly in Ramsgate. It has over the years been a popular location for people to retire to as well. The area has generally been ignored by both Tories and Labour over the decades and has suffered from the migration of holiday makers abroad. Its town centres are run down (partly as a result of a ridiculous out of town shopping centre who transport links are atrocious). Both Tory and Labour have seriously failed this area. It is also quite susceptible to the anti politics narrative given that the main reason why Labour took the seat it in 1997 was because it’s MP was the disgraced Tory Minister Jonathan Aitken. Given the wider cultural narrative of Kent (along with Sussex, Essex, Norfolk and Lincolnshire) being the ‘front line against two millenia of European encroachment’ from the Roman invasion to World War II (the former RAF base and Spitfire museum at Manston is in the Thanet South constituency) Thanet South is as good a target for UKIP as there is. I’d have had you down as a FPTP supporter Pete. What would you prefer? why does bob keep going on about alistair darling? @Pete Whitehead – UKIP is a protest party, and in some Labour areas, Tory voters instead of voting Tory vote UKIP to send a message. Also, by-elections have very low turnouts and that always effects the Labour vote. You shouldn’t read too much into it, perhaps you need some psephological sophistication. If you actually looked at the polls rather than getting funny dreams about Nadine Dorries and Nigel Farage together, you’d realise that only a very small proportion of Labour voters in 2010 are considering voting UKIP in 2015, compared to the 6% of Tory voters in 2010 who are saying that they will vote UKIP in 2015. Also, UKIP’s appeal to Labour voters is mainly in the North, not in the South, in industrial heartlands that are scared of globalisation, immigration and change and they protest. If Labour tell them that if UKIP stands for more tax cuts for the rich, more cuts to public services, tax hikes on the poorest, cuts to the welfare state AND that UKIP is a spin-out of Thatcherism, do you really think they’d give UKIP their vote every again? No. UKIP is a real threat to the Conservative Party and that benefits the left whether it is Lib Dems in Tory-Lib Dem marginals (as we saw in Eastleigh) or Labour in Labour-Tory marginals. UKIP will probably get more than 10% in Thanet South given that they were already on 5.5% in 2010. You might be right on UKIP getting more than 10% here, they will definitely come third but not much more as UKIP will probably start to falter come the election. This seat will become an ultra-marginal seat. Seriously, and having had close association with Thanet since 1964 (both my parents are buried in Margate cemetery) I know that the council has been a joke for decades. I can see the old tory vote splitting all but 50/50 with UKIP, with or without Garage. Whether this will be enough to let labour in (who are also not loved locally) is moot, though if Ladyman stands again (and he WAS popular, even with my right-wing mum) he will probably retake it. Labour don’t need to be “loved” to win elections. I think this seat could actually be very close but not if the Tories come close to drawing level with Labour nationally, in which case they should be OK.
As it happens Laura Sandys’ late brother was a barrister in my father’s chambers. He was quite unbelievably right-wing – he would have made Pete Whitehead look like a raving socialist. His views were way, way to the right of hers, and even of his pretty right-wing father. I think there’s been some research showing that women tend to be less right-wing than men generally speaking, although maybe we already knew that anyway! It’s very difficult to predict any of this now, but I’d say UKIP will manage 17/18% in Thanet, with the Tories holding on and the LD vote almost disappearing. I dont think this will be close at all, unless its a mammoth labour win nationally. Swing would be below average i would have thought. A lot depends on whether council election results are just that, purely local dissatisfaction with the Tories on Thanet council. The trouble for Labour is twofold; firstly, no-one can be sure that if UKIP do well it would necessarily take more votes away from the Tories than Labour; and secondly that the constituency includes Sandwich & some bits around it. These areas will vote conclusively Conservative. I still think that the Tories have enough local difficulties to be run quite close, but I’d agree that it’s very much a longshot for Labour. It is arguable that Labour might have a better chance here than in Chatham & Aylesford, even though on paper the swing needed here is quite a bit more. 1. If Labour enjoy a lead over the Conservatives nationally come polling day, it will probably be very thin. A Conservative lead is probably at least as likely, and the national swing from Con to Lab is likely to be about 4%, if that. 2. Supposing UKIP manage 8% nationally (about half current polling figures), that will still be approaching 3x the vote share in 2010. I think (a) the popular vote will be very close indeed, and (b) UKIP are guaranteed to win at least 6%, which is a doubling of their 2010 showing. That’s a bare minimum — they should be able to do better than that. Would 6% be sufficient to gain any seats. The Greens could do it with much less but Brighton Pavilion is a fairly exceptional constituency….and UKIP are less likely to have such a huge concentration of their vote in a particular area. I think UKIP will do better in Seaside towns than in other areas…but not enough to break through. Does anyone know if UKIP plan to stand a candidate in every constituency in 2015? Presumably – they stood in the overwhelming majority of seats at the last election. I’d expect them to put up a full slate next time, barring any decisions to stand down for sympathetic sitting MPs. In 2010 they stood in 558 seats in GB, deliberately stood down in 7 and failed to put up candidates in about 66, disproportionately in Scotland. Thanks Anthony, as a Scot I was wondering if they would stand in all the Scottish seats. This is something that can backfire. The Scottish Socialist Party regarded John McAllion MSP for Dundee East as being sympathetic and chose not to felt a candidate at the 2003 Holyrood Elections. In the event, the SSP took more lefty SNP votes than Labour votes, and their absence in Dundee East may have contributed to John McAllion’s defeat. McAllion successively joined the SSP and stood in the Dumfermline & West Fife By Election.